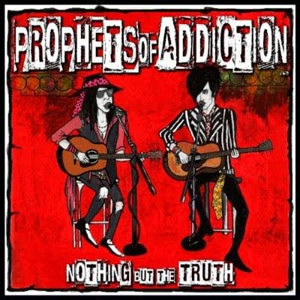 "Babylon Boulevard", the new video from PROPHETS OF ADDICTION and HighVolMusic is out now and is the 4th video from the band's latest release Nothing But The Truth featuring Lesli Sanders and Glenn Gilbert. The video was filmed and produced by JBaca Studios. As previously mentioned, a video for each track on the album is planned to be released. Watch the video for "Babylon Boulevard" on KNAC.COM HERE. Nothing But The Truth was released on October 26, 2018 via HighVolMusic and contains 10 acoustic tracks. The album is available HERE.